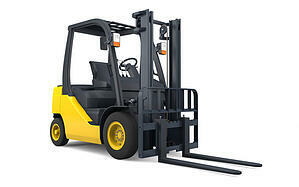 Forklifts are fairly large pieces of equipment that rely on several moving parts and a considerable amount of power. The power of forklifts makes them indispensable yet also dangerous. When forklift injuries occur they are often serious given the tremendous weight and power of the equipment. OSHA estimates that there are almost 35 thousand accidents a year that result in serious injuries from forklifts and another 61 thousand resulting in non-serious injuries. Around 85 fatalities occur annually due to accidents involving forklifts and 42 percent of those fatalities are due to the operator being crushed by a tipping vehicle. It is crucial that employers help workers understand the dangers of operating a forklift. The role of the forklift operator is crucial when it comes to ensuring correct and safe operation of a forklift. Having trained and certified operators is a must for business owners, trained and skilled drivers are able to move heavy goods in a fast, steady and careful manner reducing the risk of accident as well as inventory loss while increasing overall productivity. It is also required by OSHA that all operators of forklifts be properly trained. Refresher training for the experienced operator is just as important as first-time training for new employees. Hazard recognition and the assessment of certain complicated worksite areas are also important to note when it comes to operating forklifts as safely as possible. Business owners play, perhaps, the most important part in seeing to it that safety training at their worksites is a prime concern. Discussing the importance of forklift safety training is a great step, but management should have a specific safety strategy in place tailored to their unique working environment. By implementing a forklift safety program companies can help prevent unavoidable accidents. The key to forklift safety is to be proactive and not reactive.